“We don’t need grievance procedures because our company is too small. We’re like a family and have a happy, contented workforce"
Even if the above statement is true, there can come a time when an employee comes to you with a grievance. The problem may be about their contract or their pay. They may have a complaint about the behaviour of a colleague. They may have a concern about changes at work or feel that they are subject to discrimination of some sort. Whatever the complaint is about, you must take it seriously and you do need to have a procedure in place to deal with it. As a first step, it’s ideal if you can handle any complaint informally. Formal grievance procedures should be the last resort when any other attempts to resolve the problem have failed. Speak to the employee (keep a record of your conversation) to understand their issue and look for a straightforward solution. Many issues can be quickly resolved through discussion with all involved and providing clarification where necessary. If, however, the complaint is more serious and cannot be resolved informally, then it is important to have a formal procedure that acts as a framework for resolving the issue. 1. Make sure you follow your grievance procedure; doing so will ensure consistency and that the situation is handled properly. 2. Understand what outcome the employee raising the grievance is looking for; it may not be what you might assume. 3. Carry out a full investigation to establish the facts. Gather all relevant evidence including emails, meeting minutes, interviewing other relevant parties, etc..
4. If the grievance is against another employee, invite them to a meeting where they can also be accompanied by a colleague or a union representative if they wish. 5. Keep records – invite people to meetings in writing, have someone take minutes and communicate decisions in writing. This will protect you and your business in case of any further action or if there is any dispute about what was said in a meeting. 6. Make sure that everyone involved in the grievance understands the procedure, knows what will happen at each stage, and the time limits. 7. Communicate the outcome of the grievance in writing, giving full reasons for the decisions made. 8. Identify who will hear any appeal made. Appeals should be heard by someone not previously involved in the grievance. If you would like to find out more about employee grievances, or would like help to create your Grievance Procedure or with a grievance that's been made to you, please contact us and we will be happy to discuss it with you. 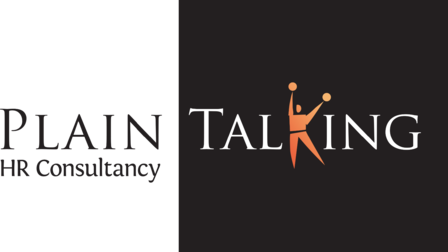 For all your HR advice and support, whether in Luton, or anywhere in the UK, look no further than Plain Talking HR.